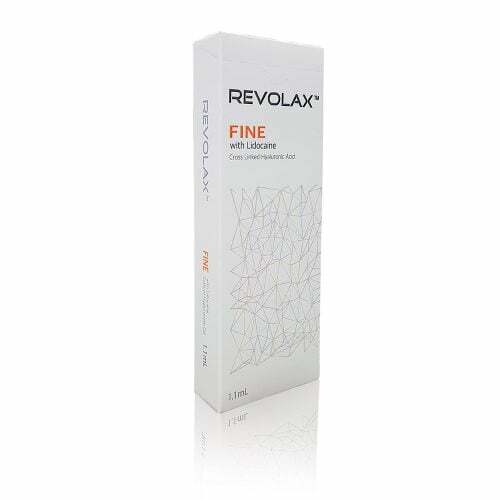 REVOLAX™ Fine with Lidocaine (24 HA) is biodegradable, non-animal based, crosslinked dermal filler for treatment of superficial lines including crow’s feet, glabellar lines, forehead or neck wrinkles. REVOLAX™ Deep with Lidocaine is biodegradable, non-animal based, crystal clear Crosslinked Dermal Filler which has high viscoelasticity. REVOLAX™ Deep with Lidocaine is a thicker and longer lasting gel to treat deep sized wrinkles and nasolabial folds or augmentation of (cheeks, chin, forehead, lips, nose) This monophasic HA filler is to be injected deep into the dermis or subcutaneous tissue. We provide a fantastic opportunity to be involved in one of our Revolax Training days. WE ASK YOU TO BRING YOUR OWN MODEL BUT IF A MODEL IS REQUIRED PLEASE INFORM US IN ADVANCE. * Taught using VSDT method, which has been agreed by consensus to be the safest injection technique. PREFERRED INJECTION TECHNIQUES TO OBTAIN PREMIUM RESULTS WHEN WORKING WITH REVOLAX. LED BY EXPERIENCED AESTHETICS DR. COVERS 2 AREAS OF THE FACE. FULL PRESENTATION FOCUSING ON REVOLAX MATERIAL PROPERTIES. RECAP OF FACIAL ANATOMY: DANGER ZONES/ BEST PRACTISE. SPECIALIST TIPS AND BEST PRACTISE GUIDES. LEARN HOW TO MAINTAIN AND GROW A HAPPY CLIENT BASE. The Revolax Consultation Forms are the perfect and professional way to introduce Revolax and gather your patient's medical history. A bundle of 20 Revolax Leaflets. Top up your stock today ! 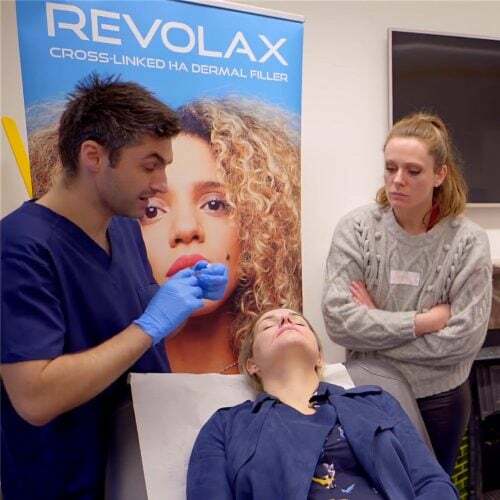 Revolax Post Treatment Guidlines are the perfect way to make sure your customer is safe once they leave your clinic, with the correct advice in hand. These Revolax Advertising Posters are high quality and perfect for clinic walls and reception/waiting areas. Select your preference between Red and Blue versions. Standard Revolax Pull Up Banner 850 x 2000mm is ideal for clinics wanting to advertise the amazing Revolax Products.